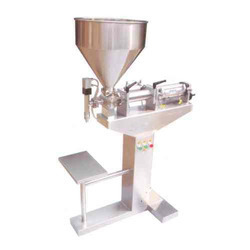 Offered by us is an excellent range of Paste Filling Machines to the clients, as per their specific requirements. We consider industrial requirements while designing these machines, in order to attain maximum level of customer satisfaction. Moreover, we make sure to deliver the ordered products at the clients’ end within the committed time frame. Looking for Liquid Pouch Packing Machine ?